Considering the Horse by Mark Rashid should be on the reading list of anyone who cares about or works with horses. The book's subtitle, Tales of Problems Solved and Lessons Learned, hints at his writing style. This is not your usual riding manual or training book. Mark Rashid writes as if he were telling tales around a campfire. 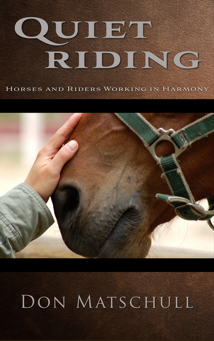 Woven throughout these tales the reader discovers knowledge acquired through a life of working with horses. Mark Rashid learned some of his lessons the hard way, through bumps, bruises, and broken bones. Others he learned from an old man who, in his quiet easy–going way, passed on what he had learned. Mostly, he learned from the horses he worked with. Mark Rashid does not try to present himself as the all–knowing expert. Rather, he humbly shares the knowledge he has acquired. As always, some of this knowledge was learned through making mistakes. Pride often leads to mistakes, and Rashid admits that some of his knowledge was acquired through this means. While certain training methods may work with a majority of horses, there is always a horse for whom that method is ineffective. Rashid will be the first to tell you that every horse is different. 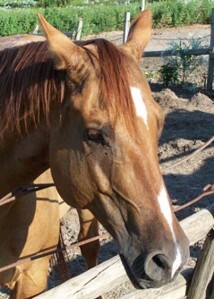 One must always be conscious of how a horse reacts to his actions. One must always be open to trying something new if the tried and true method does not work. And, above all, one must be patient. All it really takes to develop that kind of trust is three little things: time, patience, and understanding. It's the people who don't take the time to do things right, don't have the patience to help the animal instead of force him, or don't try to understand his point of view, who run into trouble. One of the lessons Rashid learned from the old man was that it seldom does any good to try to help someone who doesn't ask for your help. Thankfully, Mark Rashid has written this book so that those who are looking for help have a place to go.